On Wednesday, Sony unveiled Move, its motion-sensitive controller. 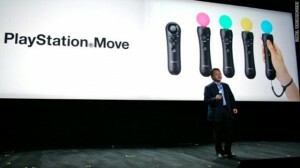 Move is set to be priced under $100 to compete against Microsoft’s Natal and to win over the Wii gamers. I am one of them and I have been thinking of PS3 for some time and the timing feels just right! Next Google.com – Do no evil?